The collective memory of prewar life repeatedly saves Omar and his family. The bloodthirsty horticulturist drops his threats when he realizes he is menacing the father and son of his beloved boxing instructor. The leader of the tunnel diggers is none other than their old gardener’s assistant, a hardworking teenager and Omar’s partner in kite-fighting; upon finding his old employer’s son and grandson in captivity he orders their immediate release. Omar’s retelling startlingly transforms each horror into a reminder of what lies beneath the rubble: an openhearted, hospitable community of generous, gregarious people, “one minute laughing and the next minute shouting” and always fiercely loyal to their kind. Luis Alberto Urrea spent nearly 20 years researching his family history for his enchanting 2005 novel “The Hummingbird’s Daughter.” Out of old letters, historical documents and oral histories emerged the fantastical story of the author’s great-aunt Teresa, a Mexican saint and revolutionary who was the illegitimate daughter of Tomás Urrea, a wealthy landowner, and a Yaqui Indian woman known simply as Cayetana, or the Hummingbird. 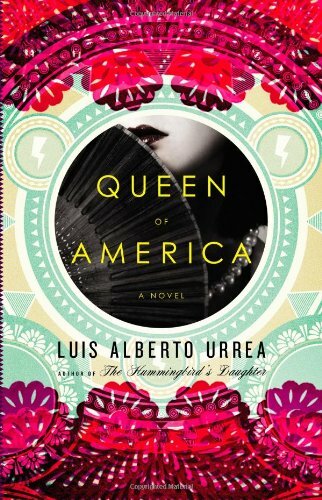 By the final wrenching pages of that novel, Teresita, as she’s called, has by presidential decree been declared the Most Dangerous Girl in Mexico. Banished from the country, she and her father are put on a train headed north to the United States. Outside the market you saw two people cutting apart a fish that was as big as a sedan. You asked if it was tuna, since it was so large, but the ven dor said it was an ocean sunfish. You were reminded of a character in a book whose title you couldn’t remember. She was from a seaside town, and she would go to the huge aquarium in the city every time she had a problem, to talk to the ocean sunfish swimming inside. She would complain that her mother took all her life savings and went off with a younger man to a different city, but then, at the end, would say, But I miss my mom; you’re the only one I can tell this to, sunfish! You wondered if that was the same fish. 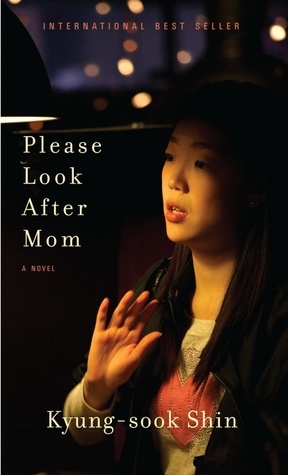 Please Look After Mom by Kyung-sook Shin sold close to a million and a half copies in South Korea, and is set to be published in 18 countries around the world. It’s the first of Shin’s books to be translated into English. My full review for Sunday’s New York Times Book Review is here. – An interesting New York Times story about rehabilitating Tolstoy caught my eye. In her diaries, Sofia Tolstoy expresses a great deal of concern about how she’ll be judged by historians. But it never occurs to her that her husband could himself be remembered in a mixed light. – A piece attempting a humorous take on yoga from NPR’s Sandip Roy irked me. One commenter summed up the problem nicely: “A man who identifies as belonging to a particular ethnicity, paradoxically ignorant of a particular tradition of said ethnicity, is by virtue of said identity assigned to write an article communicating nothing so much as said ignorance.” Right. – In this week’s New Yorker, a very enjoyable review of The Girl with the Dragon Tattoo series puzzles over its popularity. “The jokes aren’t funny. The dialogue could not be worse. The phrasing and the vocabulary are consistently banal,” Joan Acocella writes. – The ever-sharp Elif Batuman reflects on interpreting entrails and suggests prognostications help us find out who we are in this great little essay. – Earlier this week, my former PW editor Marc Schultz wrote about a new edition of Huckleberry Finn that replaces “slave” for the n-word. The piece set off a cascade of debate on censoring Mark Twain (The Takeaway invited Morehouse’s David Wall Rice to weigh in; he made a strong case against the NewSouth edition). But one thing that seems to have gotten lost in the discussion is that editor Alan Gribben’s decision to drop the n-word wasn’t part of any agenda — it grew out of countless conversations with readers and educators across Alabama who told him they were staying away from Huck Finn because of the n-word. “For a single word to form a barrier, it seems such an unnecessary state of affairs,” Gribben told PW. So why not make an alternative edition available? – Ben Yagoda takes on The Elements of Clunk. Someone should publish a set of stylebooks on the essential conventions of writing for broadcast, print, the ‘net, email, G-chat, Facebook walls and text message. And then make them into an iPhone app so I can put them all in my pocket. – Over at The Awl, Heather Havrilesky beautifully sums up a modern malaise (which I, for one, suffer from): Personal Branding Disorders. “Do you want to be a part of the next wave of rich personal self-promotion, or do you want your child to grow up not knowing what really good sushi tastes like?” she asks. Okay, okay. I give up on the sushi. The seeds were planted last winter, when professors in the [Brooklyn College] English Department, with Donna Wilson, the dean of undergraduate studies, chose this year’s ”common reader”: a book given to all freshmen and transfer students in an effort to provide a common experience at the outset of the school year. The books are generally memoirs set in New York City, by authors available to speak on campus. 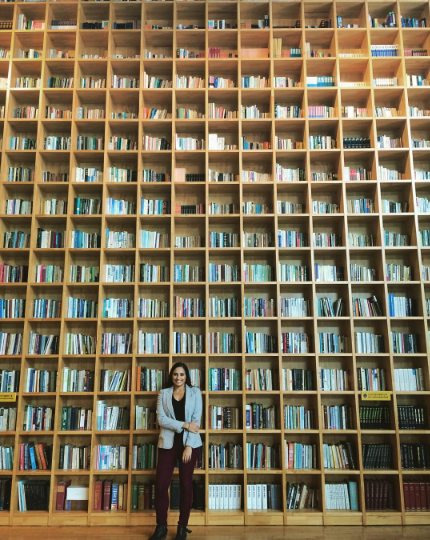 In past years, the committee has selected Frank McCourt’s ”Angela’s Ashes” and Jonathan Safran Foer’s ”Extremely Loud and Incredibly Close.” This year it picked Dr. Bayoumi’s 2008 book, which profiles seven Arab-Americans in the wake of Sept. 11, 2001. The young Arab-Americans profiled in the book have a range of aspirations and conflicts. There’s the Iraq War veteran, the high school student who launches a legal battle with her school’s student council, the rebellious Iraqi teenager who runs away dozens of times before growing into a conservative, devout Muslim herself. The book is interested in the roadblocks these young people hit on the way to adulthood — and the negotiations they make with their background in the process. It’s a coming of age story particularly relevant in these times and in this city: The young men and women in the book are interested in school, friendships, dating, their families, and their careers, as well as politics, current events, and religion. They’re figures most 20-somethings can relate to, making their clashes with contemporary culture all the more thought-provoking for a college-aged audience. But when the English Department announced it had picked How Does it Feel to Be a Problem as its common reader, Bruce Kesler, an alumnus living in California (writing in a blog post entitled “I Just Disinherited My Alma Mater”) blasted the book as an attempt to inculcate political views in Brooklyn College’s entering class. “I just updated my will and trust,” he wrote, “and, with heavy heart, cut out what was a significant bequest to my alma mater, Brooklyn College.” The post went viral, sparking widespread opposition to Bayoumi’s book and prompting plenty of other objectors. 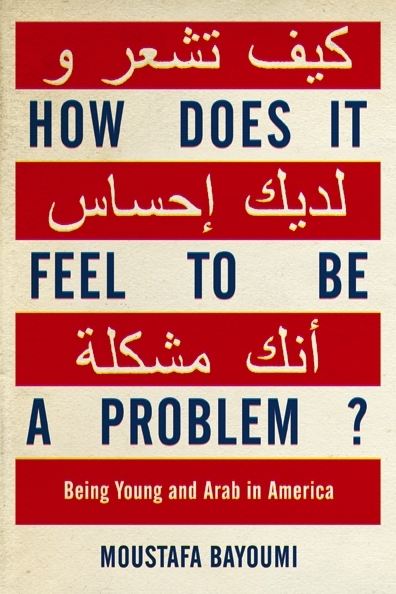 Last Thursday, a [book club] discussion of Moustafa Bayoumi’s “How Does It Feel to Be a Problem? Being Young and Arab in America,” quickly turned personal. Kerry Sahadi, 38, a blond married to a Christian of Lebanese decent, explained how she and her husband were both pulled over for speeding while following each other. Her husband was ticketed. She wasn’t. Brooklyn-born Thikra Esa, 25, wearing traditional Muslim dress, admitted to anger over having to miss her prom and pass on an internship in Manhattan because of her parents’ strictness. Bay Ridge mom Omayma Khayat, 31, opened up about her decision during college to cover her hair and her less-religiously strict mother’s embarrassment over it. Muslims in the heavily Arab-American area are often reluctant to branch out of their tight-knit community, fearful of being rejected amid images of them as terrorists, said Linda Sarsour, 30, the Arab-American Association’s co-founder and a book club member.